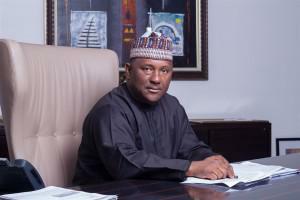 Nigerian cement and sugar tycoon Abdulsamad Rabiu has become at least $650 million richer after merging Kalambaina Cement, a subsidiary company of his BUA Cement, with publicly traded Cement Company of Nigeria (CCNN), where he was the controlling shareholder. On Monday, CCNN announced that it has received approval from the Nigerian Securities and Exchange Commission (SEC) as well as the requisite sanction of the Federal High Court of Nigeria for the merger of the two companies, thereby creating the second largest cement company on the Nigerian bourse after African behemoth, Dangote Cement. Last June, the board of directors of Cement Company of Northern Nigeria (CCNN), approached the Nigerian Stock Exchange with a proposal to merge with the BUA Cement-owned Kalambaina Cement Company Ltd. Ibrahim Aminu, CCNN’s CEO, had said that the proposed merger would position Sokoto-based CCNN for better competitiveness within its home market and also enable it utilize the more modern plant and equipment of the Kalambaina Cement Company to boost its market penetration and export potential. Both Kalambaina Cement and CCNN are located in Sokoto in Nigeria’s northwest region. With the merger now completed, new shares of CCNN have been issued and allotted to all shareholders of Kalambaina Cement in exchange for their Kalambaina Cement shares. In total, 11,886,823,259 new shares of Kalambaina Cement have been issued at N25.99 per share, in addition to the 1.257 billion shares of CCNN, thereby bringing the current volume of shares for the total combined entity to 13.1bn. The new, combined company, which has adopted the CCNN corporate name, has an installed capacity of 2 million tons per annum, and recently had its shares listed on the Nigerian Stock Exchange. Through BUA Cement Company, Damnaz Cement Company Ltd, BUA International Limited and through his own name, Nigerian tycoon Abdulsamad Rabiu, owns more than 12.7 billion shares, or 97% of the new entity – a stake valued at more than $650 million at current market prices. Cement Company of Northern Nigerian PLC is a public limited liability company incorporated in 1962 and listed on the Nigerian Stock Exchange in 1993. CCNN is the only cement plant in the North Western part of Nigeria, operating a 500,00 metric tonnes per annum cement plant commissioned in 1985. Kalambaina Cement Company Limited is a private limited liability company incorporated in Nigeria. The company is a wholly owned subsidiary of BUA Cement Limited and is primarily engaged in the business of quarrying, extracting, processing and dealing in limestone as well as the manufacture and supply of cement. Kalambaina Cement Company Limited’s key cement assets include the brand new 1.5 million metric tonnes per annum of cement production plant situated in Kalambaina, Sokoto State. Apart from CCNN, BUA Cement Limited also owns a $2 billion cement factory at Okpella in Edo State in Nigeria, which has a production capacity of 6 million metric tonnes per annum. BUA Cement also owns Edo Cement Company and BUA Cement Port Harcourt, which continue to operate as private companies. Abdulsamad Rabiu, one of Nigeria’s most successful businessmen, is the founder of BUA Group, a Nigerian conglomerate that has interests in sugar refining, real estate, edible oils, logistics and port operations. In January 2016, BUA Group agreed to sell its flour milling and pasta making businesses to Olam Group of Singapore for $275 million. Rabiu, one of Nigeria’s largest private property owners, also owns homes in South Africa, the United Kingdom and the United States.